From The Merioneth Historical & Record Society. 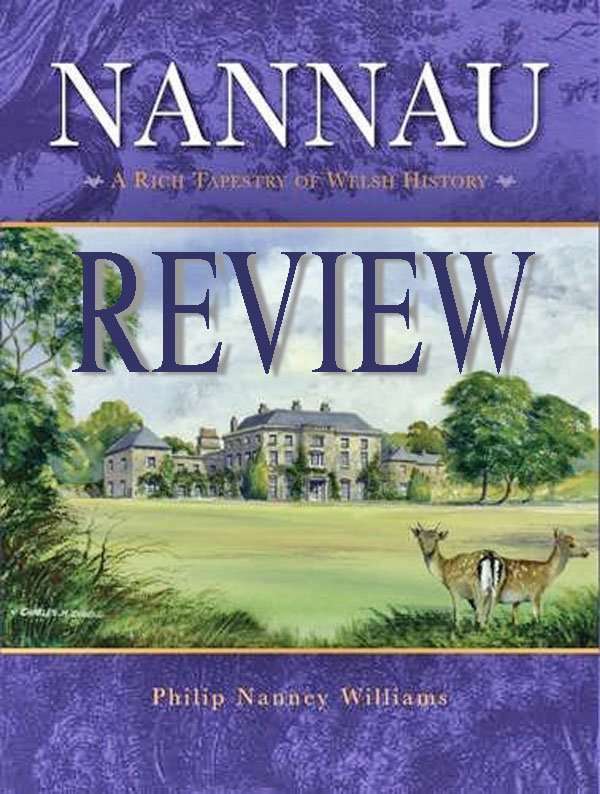 NANNAU: A RICH TAPESTRY OF WELSH HISTORY [1018-1976] by Philip Nanney Williams. What a pleasure it has been to review this book. Its author, who can trace a line of descent from the ancient Meirionnydd families of Nanney and Vaughan, has charted, in detail and with authority, the history of his antecedents and of Nannau, a once fine house in the foothills above Dolgellau and their home for centuries. There have been many good books on our county, but none quite like this, with its principal focus on one house and those who lived in it, with a further commentary on other branches of the families and their properties and a wealth of well-researched information on the historical context. What sets the book apart is the scale of its ambition. It is a substantial, hard back publication, fully illustrated with a broad range of colour illustrations which add significantly to the text, and an overall design of style and quality; the provision of a ribbon page marker, for example, is a pleasing touch, and both picture research and editing standards are top-notch. There is also a beautifully produced and separate family tree provided, and if I had just one quibble it would be to regret the lack of an index, so as to identify easily the many people and places covered in the text. But nonetheless all those associated with its production should be proud of Nannau, not least of course Philip Nanney Williams, ably supported on the project (eight years in development) by Pauline Ann Williams — who is rightly given due credit by the author. The book’s ambition, it must be said, has been well realised. The story of the Nanney and Vaughan families is at the heart of Meirionnydd’s history, and the author presents that story in a clear and logical progression, chapter by chapter, from the very beginnings in Chapter 1, ‘A Royal Dynastic Descent (1018-1128)’, through the centuries to Chapter 11, ‘Charles Hilary Vaughan Pritchard (1905-1976)’, the last family member to reside in the county, and with a final chapter dealing with cadet branches from 1579 to 1941. Along the way, over ten centuries, there are many stories to be told, brought to life all the more vividly by supporting illustrations. And so the author states that Bleddyn ap Cynfyn, who died in 1075, ‘is widely acknowledged as the seed of the Nannau family, a proud and formidable King of Gwynedd and Powys’, and that the first, so styled Lord of Nannau was Madog, his grandson and son of Cadwgan ap Bleddyn, who was assassinated at Welshpool in 1111. 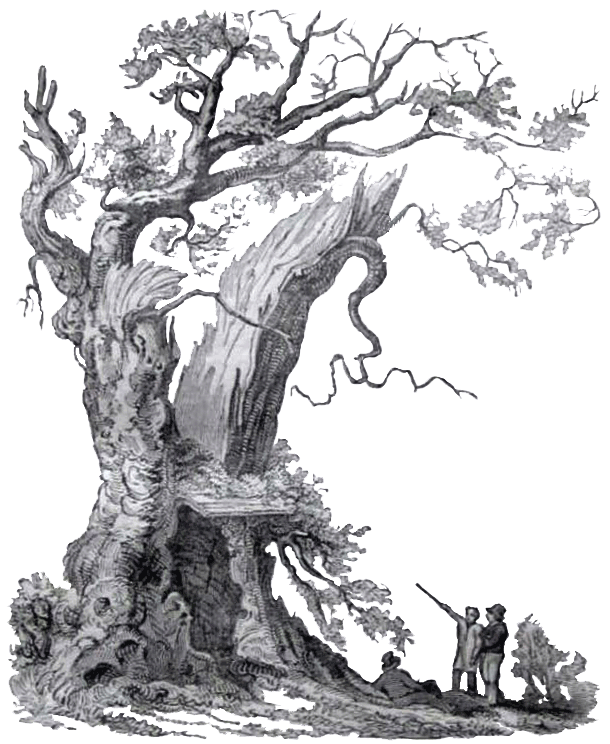 Then there is an account of Nannau’s Blasted Oak, which according to legend concealed the body of Hywel Sele, killed by Owain Glyndwr in self-protection while on a visit to the house of Howel Nanney, an Esquire to Prince Henry, the future Henry VIII, celebrated by the bards and the first of the line to carry the family surname: and of the formidable and ambitious Huw Nanney Hen (1574-1623), who with scant regard for the law demolished some 30,000 oaks on Crown land in the Ganllwyd valley and feuded, famously, with another local family, the Owens of Llwyn. Colonel Huw Nanney (1669-1701) was the last of that name to hold Nannau: he rebuilt the house around 1695 and after his death his daughter Catherine married William Vaughan of Corsygedol — and so Nannau, with other properties, became a Vaughan holding. The ﬁrst Vaughan baronet, elevated for political services, was Sir Robert Howel Vaughan (1723-92), but it is his son, Sir Robert Williames Vaughan (1768-1843) whose legacy is of particular note. in that between 1810-40 he invested considerable money, imagination and care in upgrading the buildings on his estate resulting, as the author puts it, in ‘one of the most unique and distinctive architectural landscapes in North Wales’. Lodges, gates and arches were constructed, all with individual character (you can tell a Vaughan estate chimney stack at first glance), carriage ways and walls built and trees planted. Full justice is done to Sir Robert’s achievements and there are illustrations of a range of estate houses (p.144) and (a Vaughan speciality), carriage drive arches (p.148), while double-page spreads of the estate alms houses (pp.146-7) and ‘Y Garreg Fawr’ (pp.150-1), the finest of Vaughan’s arches, look very splendid indeed. This creative use of colour spreads is characteristic of the book’s design and these two examples are particularly effective. Major General John Vaughan (1871-1956) was a distinguished soldier and a notable horseman whose Army career is mapped out graphically and with commendable attention to detail (p.225). While not soldiering in various hot spots throughout the Empire or playing polo with Royalty in the English shires, he lived at Nannau with his wife Louisa (‘Louey’), and I have happy though distant memories of Christmas parties up at the big house. In later life he wrote his autobiography, Cavalry and Sporting Memories (1949), which opens a fascinating window onto the social mores of the time, and his successor at Nannau was another fine soldier. Brigadier Charles Hilary Vaughan Pritchard (1905-76). He was the last of the line to hold the house, which he inherited in 1956, but pressing maintenance costs forced him to put it on the market in 1965. Nannau concludes with a detailed ‘Bibliography by chapters’ (pp.380-92), and it is clear that the author has read widely in pursuit of his subject. There is, however, a source which is not included, one that casts an important light on Nannau’s place in the literary history of the county before the family (and others) became Anglicized towards the end of the eighteenth century, and which readers might like to be aware of. I refer to an article in Welsh by our Hon. Editor, Mr A. Lloyd Hughes, published in Llên Cymru (Vol.X, 1969, pp. 137-205), entitled ‘Rhai o noddwyr y beirdd yn Sir Feirionnydd’ (trans. ‘Some bardic patrons in Merioneth’). Of particular relevance are pp.157-66, which deal with Nannau’s patronage of itinerant bards during the period c.1400-c.1770. Ninety-four poems, comprising mainly awdlau, cywyddau and englynion, composed to members of the family have survived in various manuscripts. The book was launched on 16th November 2016 in some style with a reception at Corsygedol, as we have seen another property with a Vaughan connection, at which event the author was able to display his impressive collection of family-related items, including portraits and commemorative cups and glassware. But sadly, the obvious venue for such an occasion, Nannau itself, was out of the question; this once fine old house, the centrepiece of so much history, is now in an ever-increasing state of disrepair. The grand schemes of later owners to develop a country house hotel, leisure complex or some such, have all come to nought and as Philip Nanney Williams says in his ‘Epilogue’ (p.374): ‘the ancient edifice languishes in a time warp… becoming another grim statistic in Wales’s register of lost heritage’. CADW has the responsibility for the listing of buildings of special architectural and historic interest and the Snowdonia National Park Authority the day-to—day responsibility for implementing the statutory provisions available to ensure the proper preservation of a listed building. Nannau is Grade II* listed, and enforcement orders have been issued, but none of these so-called protective measures seem to have made a scrap of difference. It is quite shameful. But thank goodness for this book. All those who care about the history of Meirionnydd should have it on their shelves. It is a very fine celebration of Nannau and its people — and a memorial to them all. printed by 1010 Printing International Ltd., China.393pp., copiously illustrated. ISBN 978 0 9955337 0 7. Price: £30.00 (now £25.00). See nannauhistory.com. Courtesy of The Merioneth Historical and Record Society.